Quality Minibus Service guaranteed with professional drivers for all hire purposes. 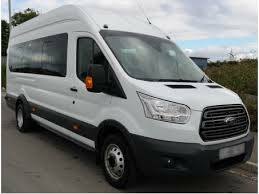 Our 16 seater minibuses are modern, clean and fitted with seat belts throughout. Over head bag rack and air conditioning for your comfort. Safety checks carried out on a regular basis for your piece of mind. Customers can expect a safe and friendly service when choosing Motion Minibus Service. We can provide services for Private hire, Corporate hire, Taxi service, Airport transfer services, Staff transport, School buses, Rail Replacement, Weddings and days out. Motion Minibus Services currently holds a Restricted licence. "Our driver Michelle was amazing she was so lovely. I had questions before the pick up Michelle was easy to speak to and answered every question perfectly. I would highly recommend if you are looking for a mini bus." "Would highly recommend very prompt service and great driver." "Very good and professional service Mini bus very clean and new"
"The wedding journey for our guests took place on 15 September 2018 . Michelle drove our guests to the church in Kenton, photo shoots in Hughenden Manor and the reception in Stokenchurch. Our wedding guests said that Michelle the driver was wonderful and accommodating. She was smarty dressed and well presented. In fact, coincidentally the colour of her clothes blended well with our wedding colour theme. The vehicle was clean and our guests enjoyed the journey. Michelle comes highly recommended , excellent service provided.. We would definitely use your service again, but of course for a different occasion." "The journey went very well. Michelle was very polite and kept me informed. Thanks"
"The driver was friendly and the minibus was clean and comfortable. I would recommend Motion minibus Service for your journey." "Michelle was very professional, arrived early for both pick up and drop off. She was friendly, courteous and nothing was too much trouble. The minibus was lovely, very clean and immaculate. Will definitely be using Motion again." "Michelle took a group of 13 of us to and from the airport for my hen do. Couldn’t have asked for a better service from a lovely lady who has been so helpful from start to finish. The minibus was clean and arrived on time. Would definitely recommend using this company, thanks again! X"
"Michelle is a lovely lady. Nothing seemed to be too much trouble. She presented herself lovely and the minibus was immaculate. Very smooth journey. Arrived on time for both journeys. Very kind lady. Would definitely use her again for future journeys and would highly recommend to other consumers. Great service. Thanks Michelle"